Heart pump devices are essentially mechanical pumps playing the role of ventricular assist devices. These are surgically implanted and are used for temporarily supporting the functions of heart in people with weak heart or irregular blood flow. These devices are notably used as a bridge to cardiac transplantation for patients suffering with end stage heart failure. They can also be used in patients during and after surgery to help them recover fast. Heart pump devices have risen in clinical significance as a potential therapeutic option for several patients to get mechanical circulatory support. The growing morbidity and mortality of heart failure, particularly in developed nations, is a key factor driving the demand for ventricular assist devices. In particular, left ventricular assist devices (LVAD) is increasingly being considered as the standard of cardiac care for patients with advanced heart failure. The rising popularity of minimally invasive surgical procedures in cardiology is leading to the demand for new generation of pumps. Together with this, rapid advances in surgical technique for ventricular assist devices implantation are also underpinning the rapid expansion of the heart pump device market. Considerable progress made in post-operative care in recent years and meticulous planning done for pre-operative technique, coupled with the optimal choice of patients, are factors enhancing the effectiveness and success of LVAD implantation. Rapid improvements in recent years in device designs are supporting the substantial expansion of the market. The growing number of approval for heart pump devices by regulatory agencies, notably the U.S. FDA, is imparting significant momentum to the growth of the market. The growing number of single-center and multi-center studies for testing efficacy of various types of heart pump devices augurs well for the market. Such studies also focus on assessing the impact of LVAD on heart transplant outcomes, taking into account any probable adverse outcomes. A heart pump device is a mechanical pump that's used to support heart function and blood flow in people who have weakened hearts. The device takes blood from a lower chamber of the heart and helps pump it to the body and vital organs, just as a healthy heart would. A heart pump may be used if one or both of the heart's lower chambers, called the ventricles don't work properly. The basic parts of a heart pump include: a small tube that carries blood out of your heart into a pump; another tube that carries blood from the pump to your blood vessels, which deliver the blood to your body; and a power source. The power source is connected to a control unit that monitors the pump’s functions. The control unit gives warnings, or alarms, if the power is low or if it senses that the device isn't working right. Some heart pumps pump blood like the heart does, with a pumping action. Other devices keep up a continuous flow of blood. 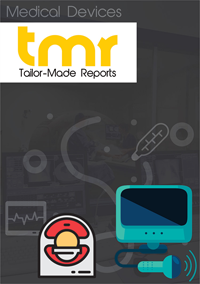 The report provides a comprehensive analysis of the heart pumps device market’s segments, including their dynamics, size, growth, regulatory requirements, technological trends, competitive landscape, and emerging opportunities for supplier. This report also examines the technologies, markets and factors influencing the markets for heart pump devices. Market forecasts are based on historical activity and current opportunities, technical advances and challenges. The two basic types of VADs are a left ventricular assist device (LVAD) and a right ventricular assist device (RVAD). If both types are used at the same time, they may be called a biventricular assist device (BIVAD).The LVAD is the most common type of VAD. It helps the left ventricle pump blood to the aorta. RVADs usually are used only for short-term support of the right ventricle after LVAD surgery or other heart surgery. An RVAD helps the right ventricle pump blood to the pulmonary (PULL-mun-ary) artery. Rising prevalence of cardiovascular diseases, increasing number of regulatory approvals, and a huge gap between the demand and supply of donor hearts is driving the demand for heart pump devices. High growth in the ventricular assist devices market can be primarily attributed to the increased dependency on ventricular assist devices for the treatment of heart failure and technological advancements to improve the safety of these devices. The high cost of devices and implantation procedures and poor reimbursement scenario in developing countries is expected to restrain the growth of this market during the forecast period. The continuously rapid advancements in the assist devices technologies and the novel applications of the existing treatments have led to an increase in the cardiac assist devices. In March 2015, FDA approved the Impella 2.5 System, which helps the patients in maintaining a stable heart function and circulation during certain high-risk percutaneous coronary intervention (HRPCI) procedures. Engineers are also exploring many other innovative solutions which helps in the implant success and is driving the cardiac assist devices market. Hence, the market is dependent upon the large number of innovations for growth. On the basis of geographical segmentation, the global heart pump devices market has been segmented into- Europe, Asia Pacific, North America, Latin America, and the Middle East and Africa. Among these, North America is expected to emerge as the leading region in the market and the large share of this region can primarily be attributed to the rising prevalence of cardiovascular diseases, favorable reimbursement scenario, and the increasing number of regulatory approvals. Some of the prominent players operating in the global heart pump devices market are BerlinHeart, Medtronic, St. Jude Medical, Terumo, Jarvik Heart, SynCardia Systems, Getinge, Teleflex, and Abiomed.